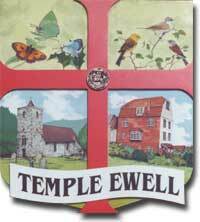 Read about the village of Temple Ewell here. PRIVACY NOTICE dated 10th May 2018. What information we collect when you advertise or send articles to us and why? Legitimate Interests – this means the interests of the Temple Ewell Newsletter in managing our advertising to allow us to provide you with notice of when such adverts are due to expire and ask if you wish to renew. Too enable us to send reminders of deadline dates for articles or adverts.